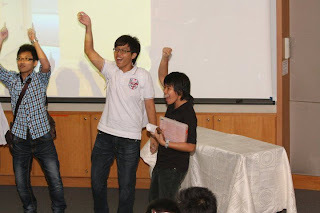 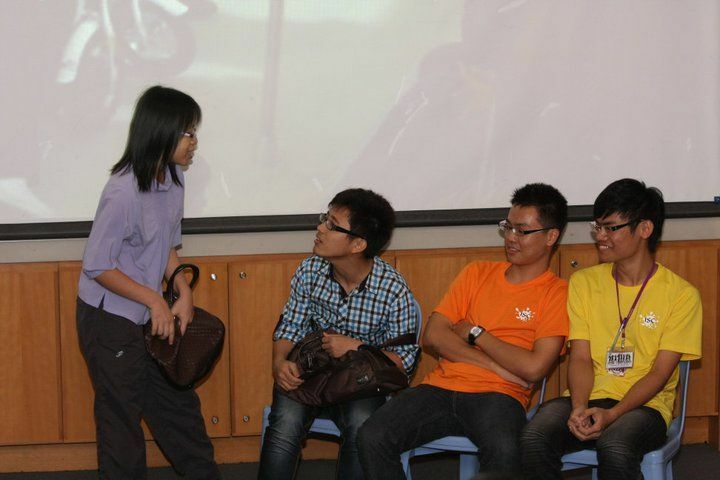 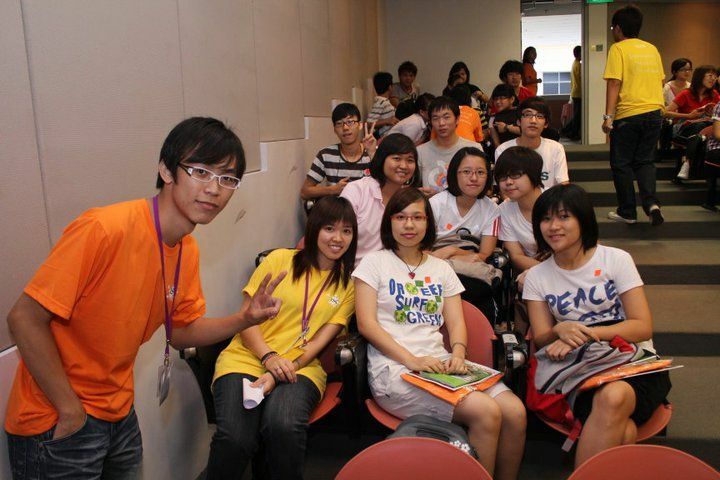 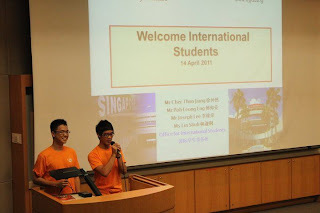 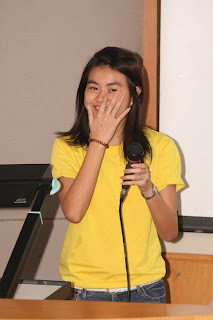 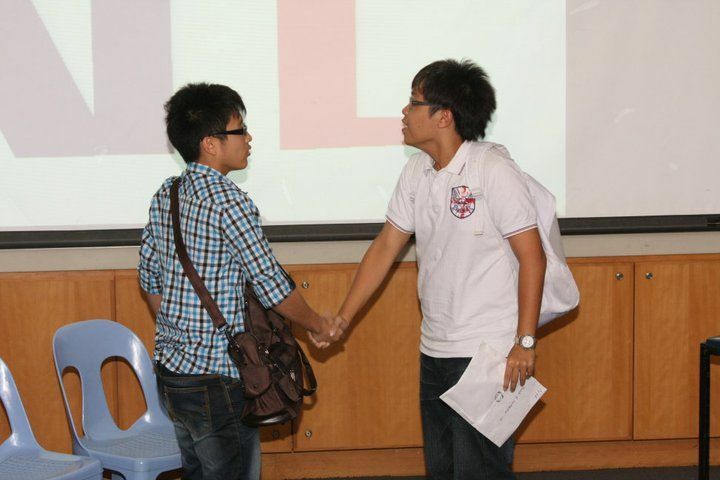 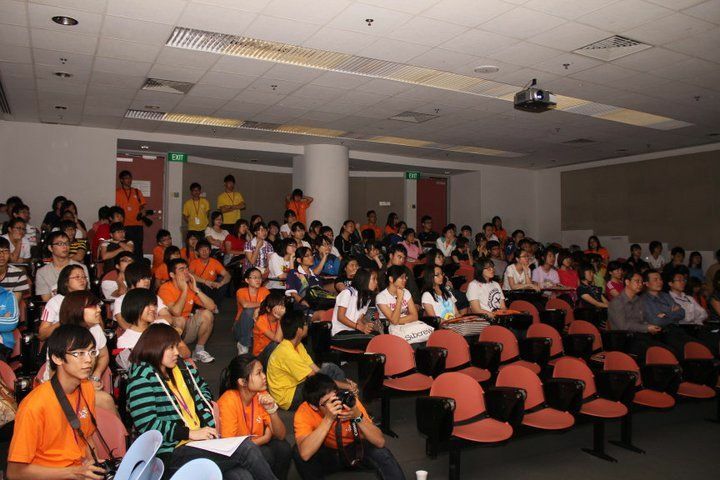 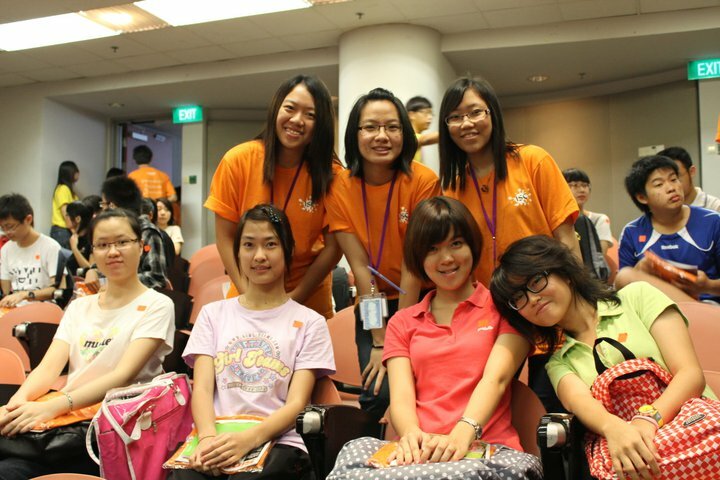 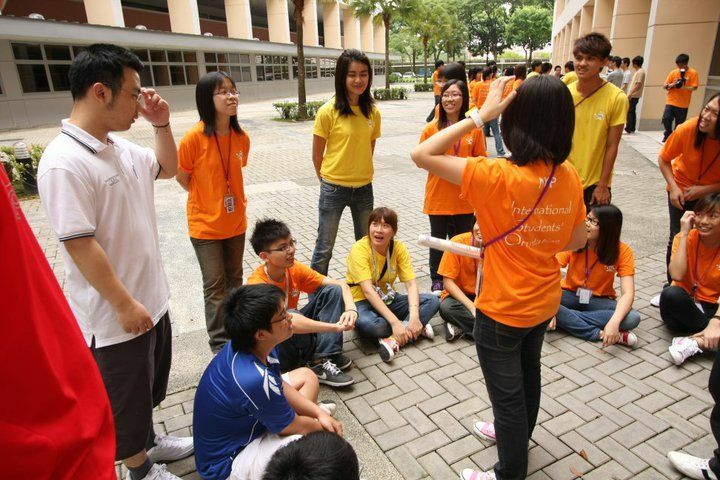 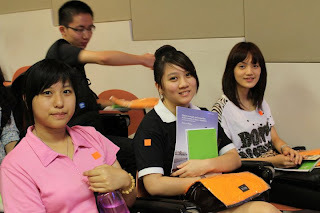 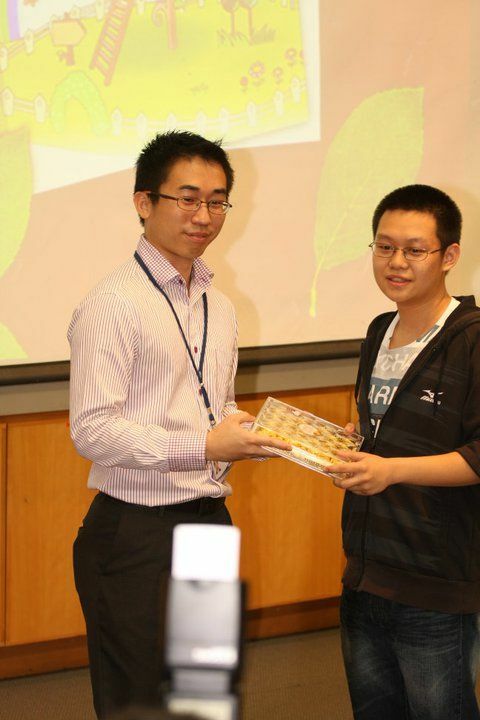 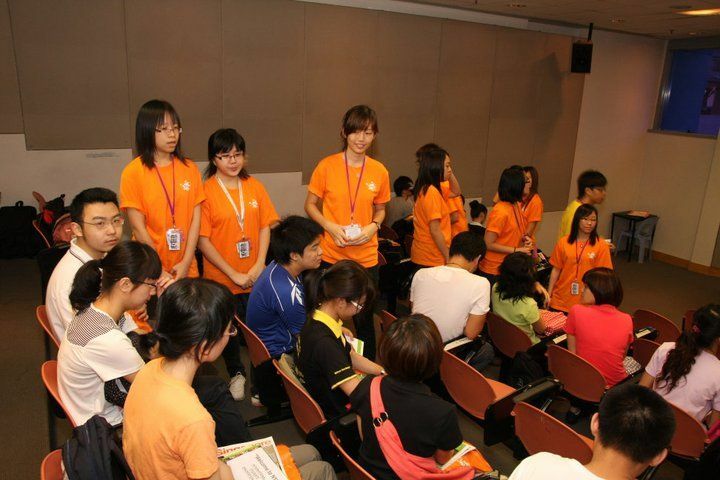 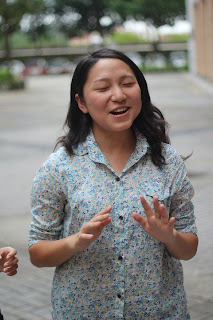 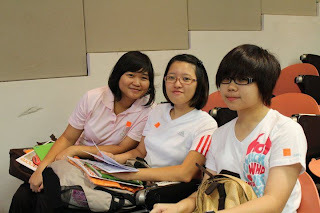 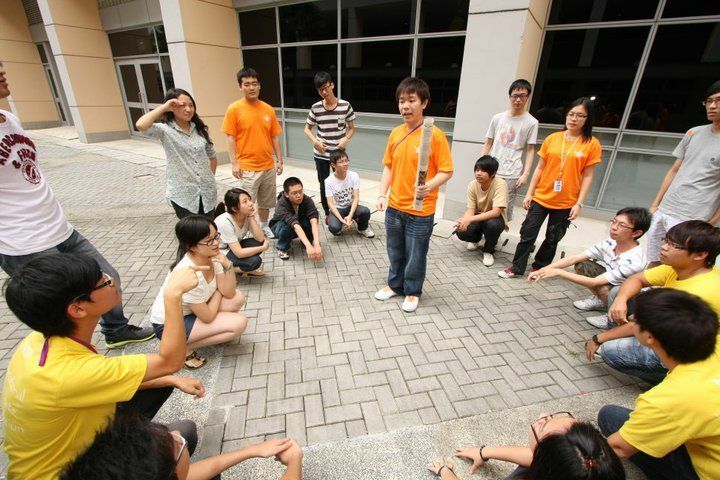 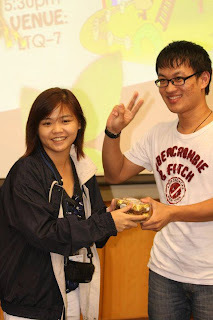 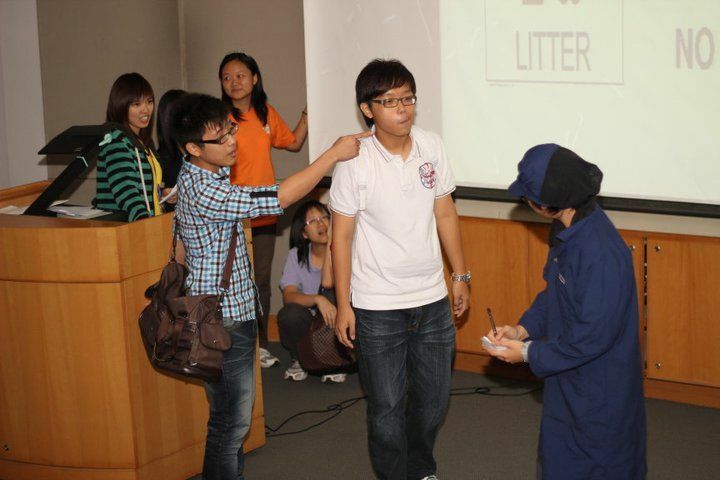 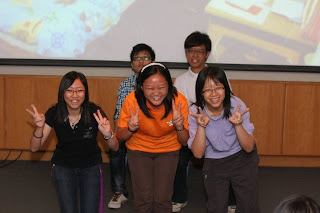 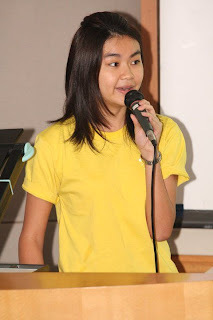 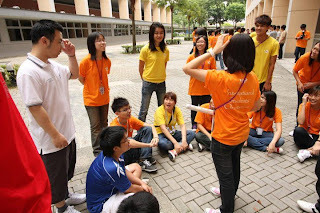 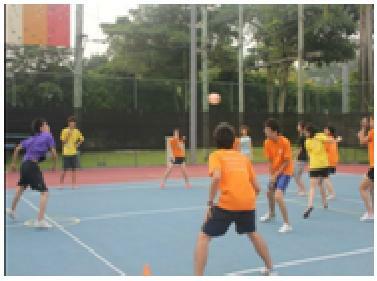 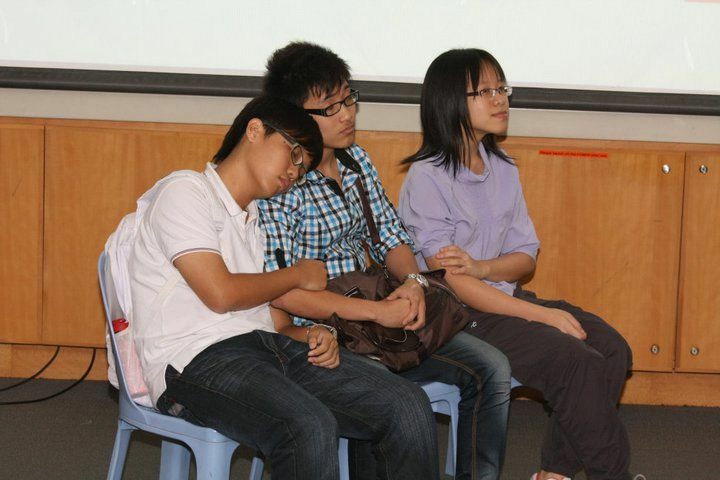 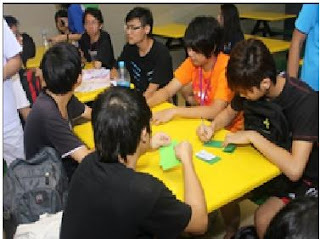 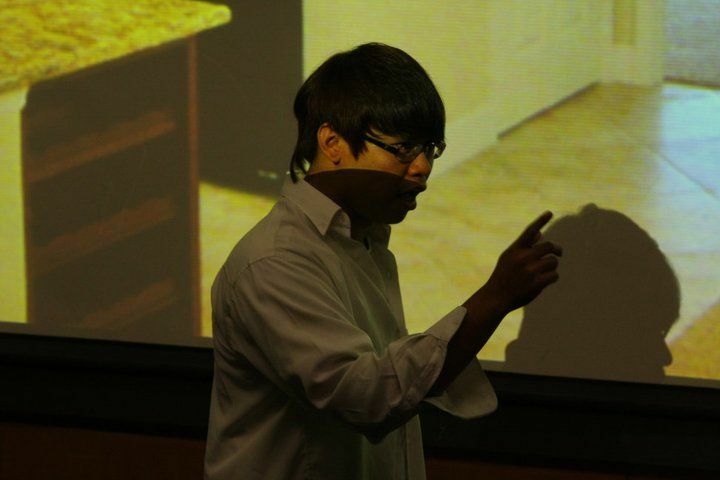 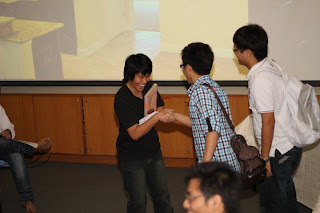 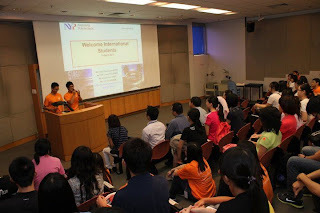 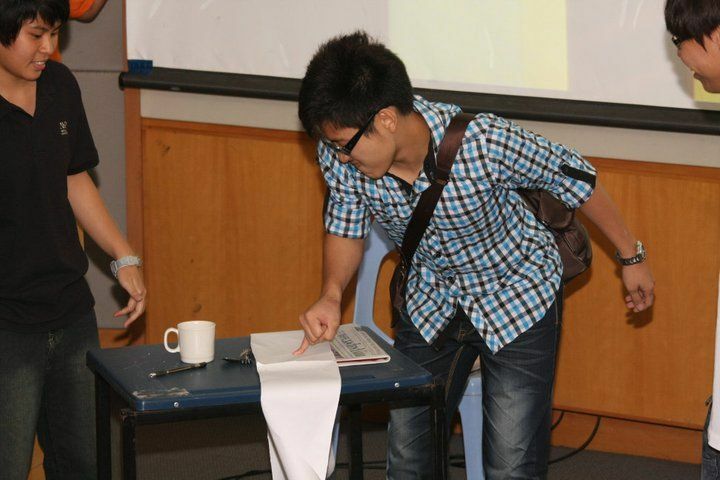 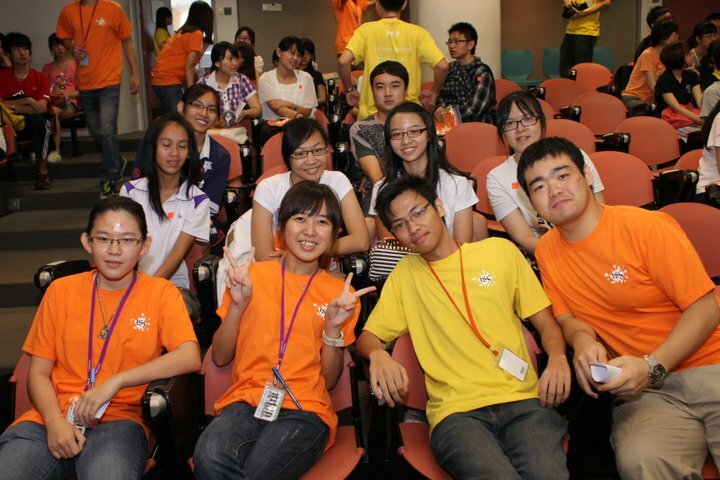 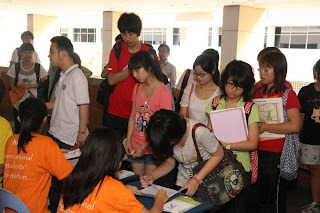 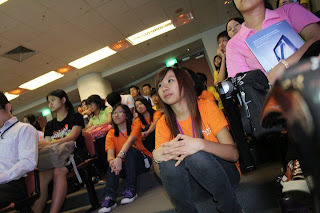 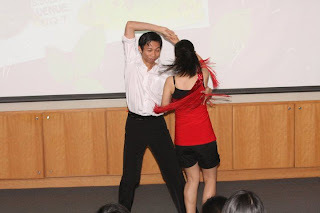 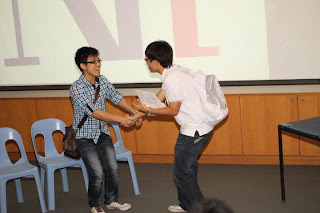 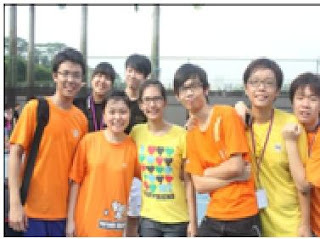 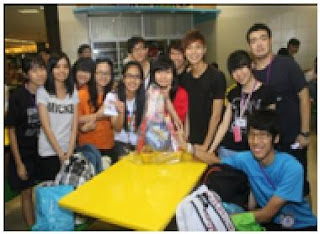 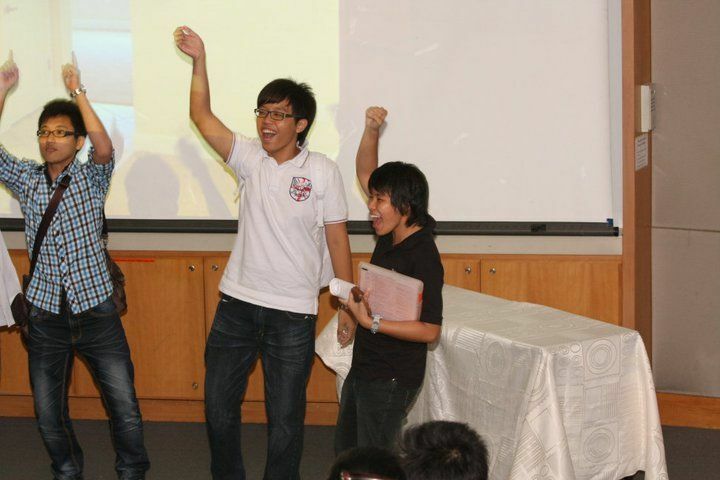 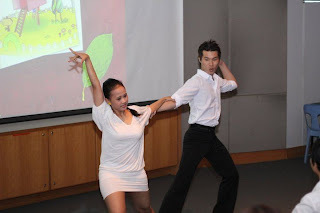 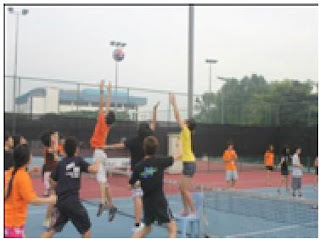 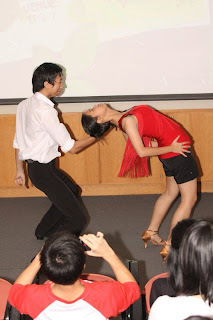 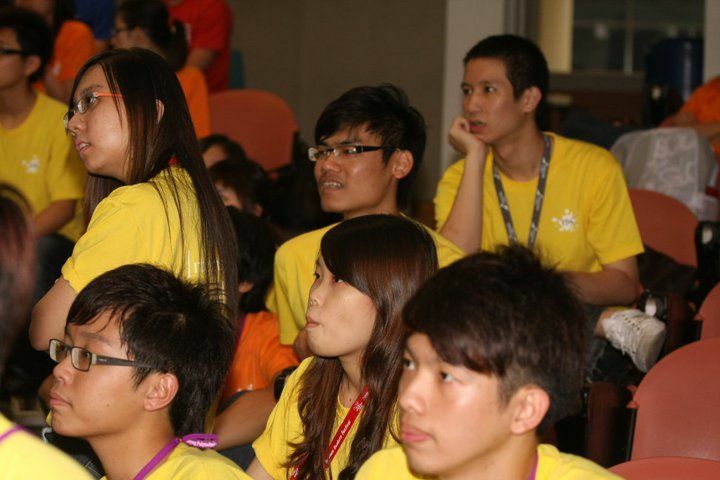 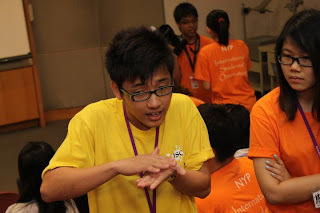 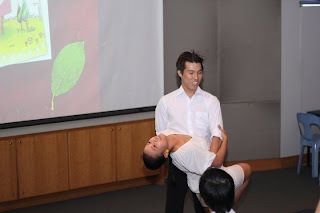 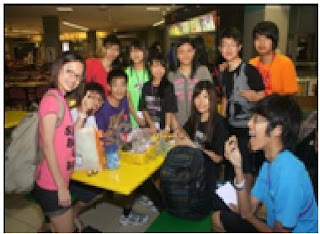 NYP International Students' Club had organized a bonding camp specially for new ISC members on 10-11 June 2011. This camp was known as “U-NITE” which means “yoU aNd I Together Everytime”. 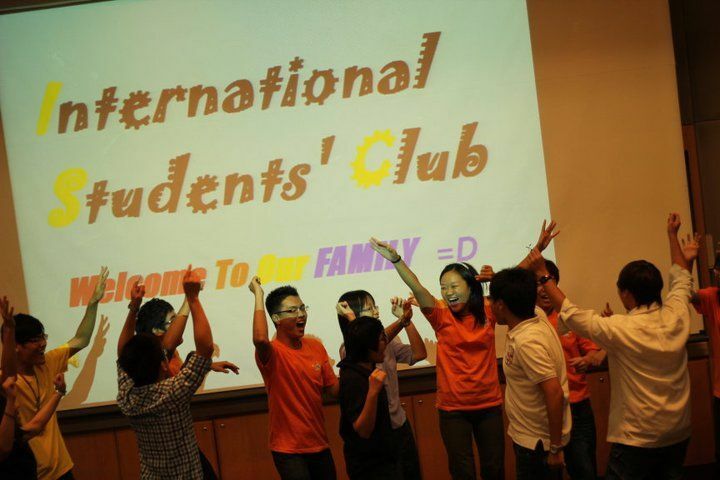 The main objective of this camp is to unite all ISC members and to create a strong bond among them. 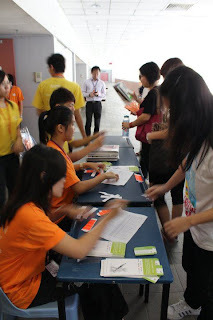 On the fist day, the registration started at 6.30pm and the members were divided into 6 groups [Alohomora, Benish Bedazz, Deletrius, Colloportus, Evanesco, Fulunculus]. 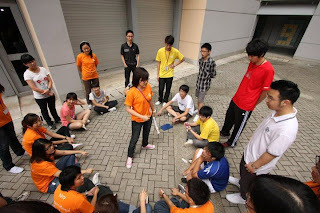 The camp began with a short emcee session followed by ice breaking games. 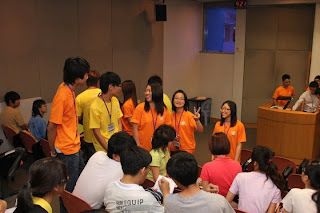 After the facilitators and the group members got to know each other, brainstorming sets in. They were asked to come out with a group cheer and the flag design. After that, each group presented their creative cheers and flags and the scene was lively at that moment. 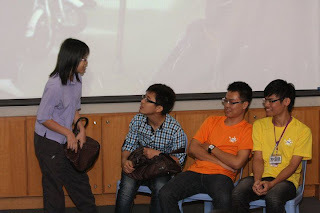 Next, the “Fashion show” session. 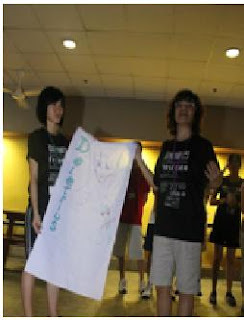 Each group worked as a team to decorate their “models” ( a male model and a female model) with the Harry Porter themed fashion. Although they were given only newspaper, raffia string, masking tape and rubbish bags, each group managed to come out with cute, funny and creative Harry Porter themed designs. 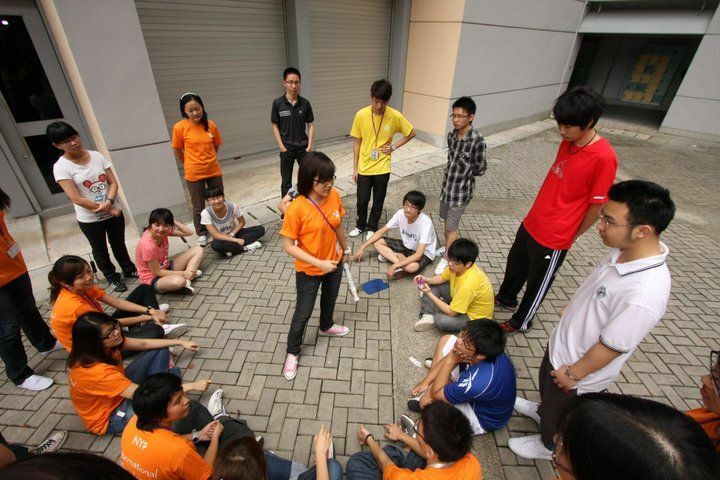 After all the laughters, it’s time for the station games session. 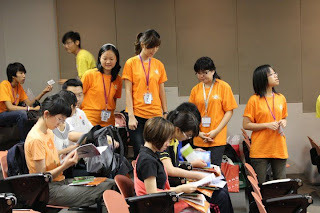 Each group were given a map containing the routes. 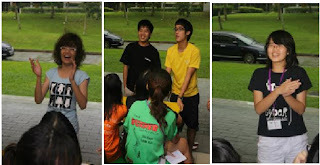 There were a total 8 stations for the station game. 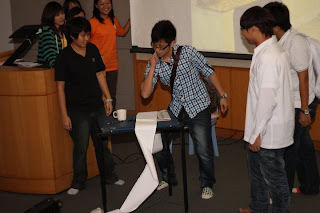 The first station was the “Wizard Giant Elf” which is similar to the “Scissors Paper Stone”. 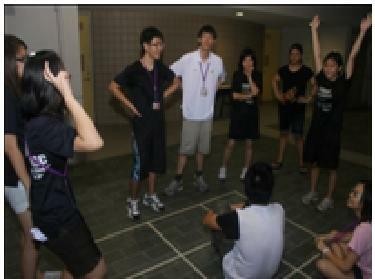 Those who won will get to play “Tic Tac Toe” by standing on the box on the floor. 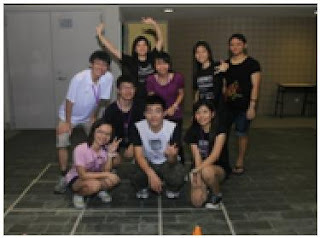 Whoever loses the Tic Tac Toe will be forfeited. 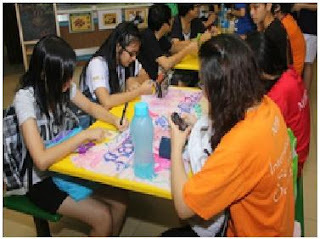 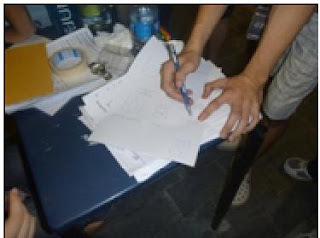 The second station was to run the stairs from 3rd to 7th floor to memorize the spells and run back to complete the drawings within the limited time. 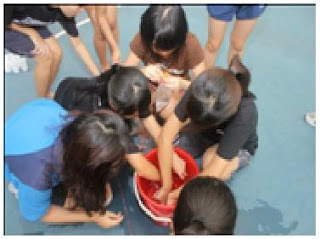 They will be splashed with water if they exceed the time limit. 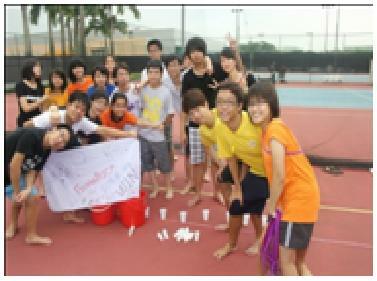 The third station was to cross the river by stepping on the boxes. These boxes contains different colour depending on the colour of their T-shirt. 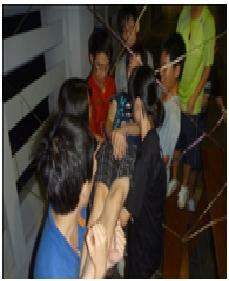 The fourth station was to pass through the spider web without touching on the web. In this station, the campers will have to brainstorm and cooperate in order to pass through the spider web without touching the web. 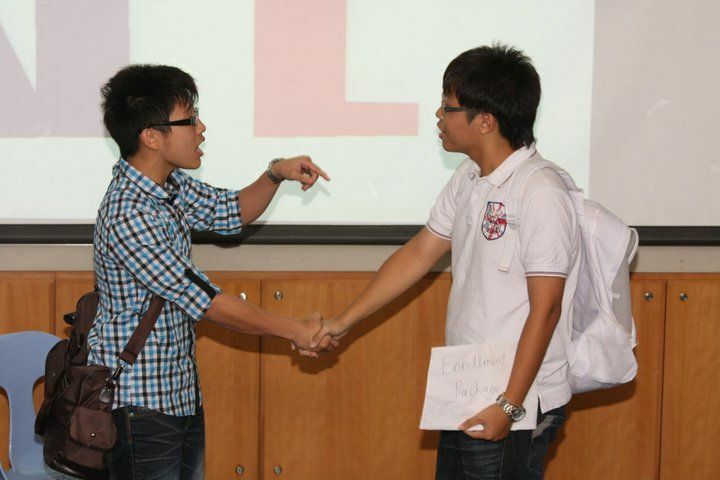 If not, they will be forfeited. 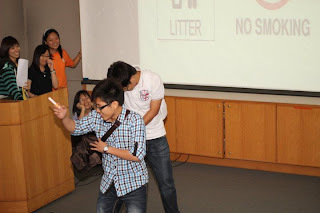 The fifth station was about searching an animal card around the area while being blindfolded. 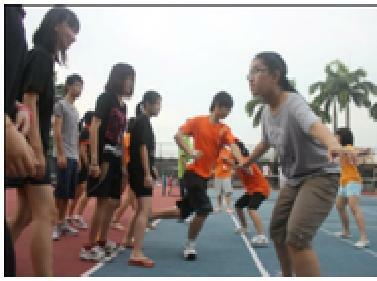 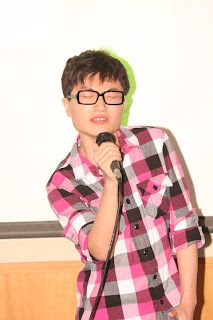 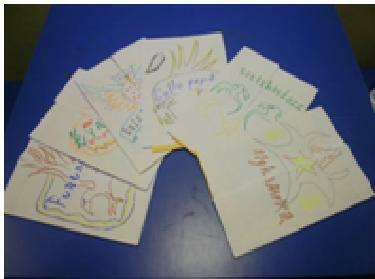 The others will be allocated at different places and asked to imitate different animals’ sound. The sixth station was to answer the game master’s questions by knocking or shaking heads oppositely to the answer we have to say. 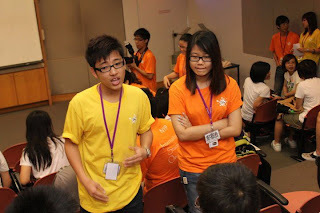 If yes then they have to say “yes” but shake their heads and vice versa. 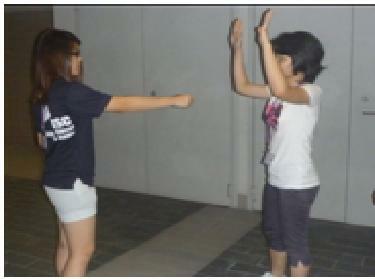 The seventh station was to line up according to the characteristics while being mute. The eighth station was to search out the total money required in the pail of flour mixed with water. 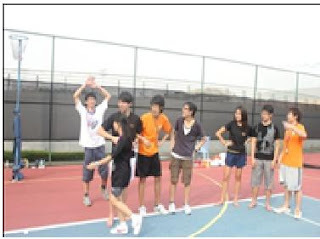 After all the stations were completed by each group, they were gathered back to the starting place. 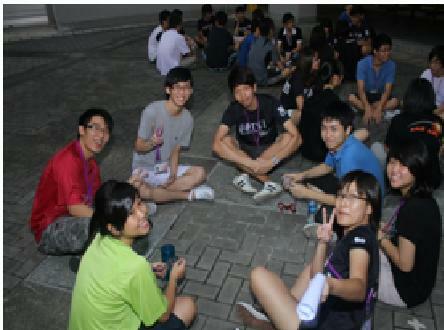 This is the time for having supper and bathing. 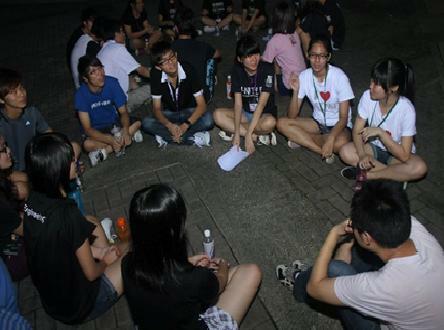 Around 2.00am, lights were off. On the 2nd day, everyone wakes up at 6a.m and breakfast was served. 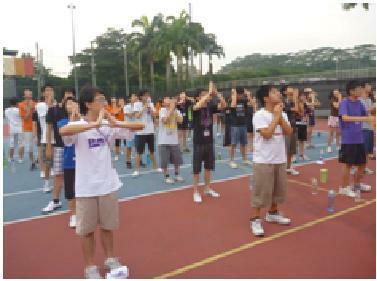 This is followed by the Olympic games (Also known as the Morning PT). 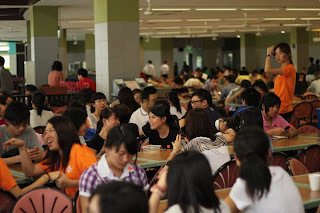 After the games, breakfast is served at the north canteen. 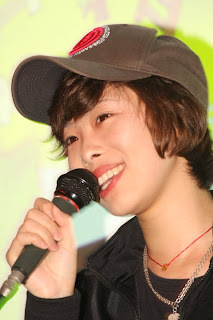 Next, everyone proceed to the tennis court again for the water game session. 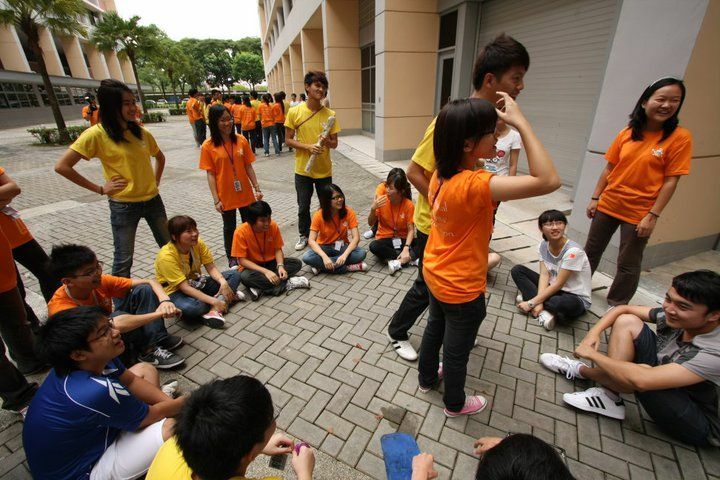 Two groups will stand at one area. 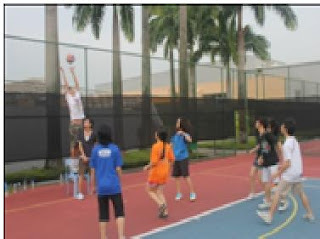 The game’s objective is to protect their castle so that it wouldn’t get wet or fall down. 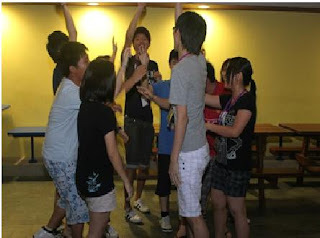 Members will attack their enemy by throwing water bombs to their enemy’s castle. 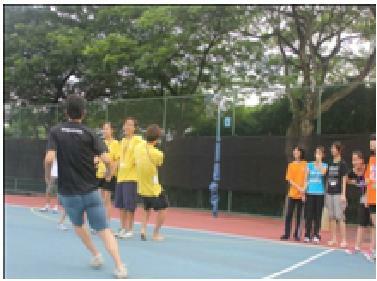 Everyone’s laughter can be heard and they had lots of fun although it started to rain in between the game. 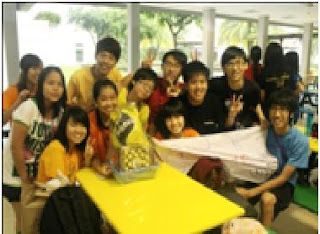 Everyone eventually got wet though it was an unforgettable memory for everyone. After everyone changed their clothes, they were gathered at north canteen for feedback. 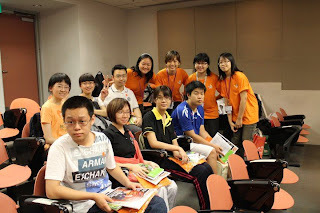 It can be seen that most of them really enjoyed the camp and hope to come for another camp organized by ISC. 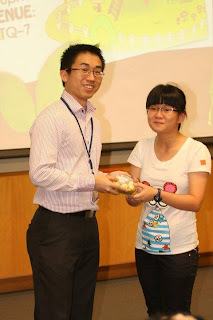 Finally, the winning teams were announced and the prize was HAMPERS!! Below are the photos of the winning teama with their facilitators. 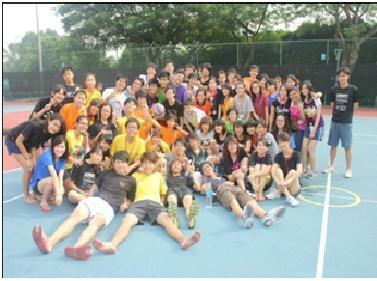 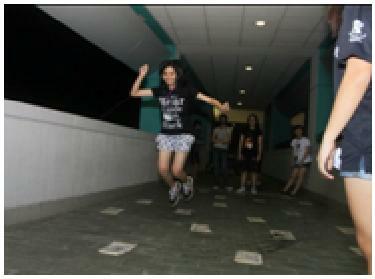 After having a photo taking session, this officially marks the end of U-NITE CAMP. 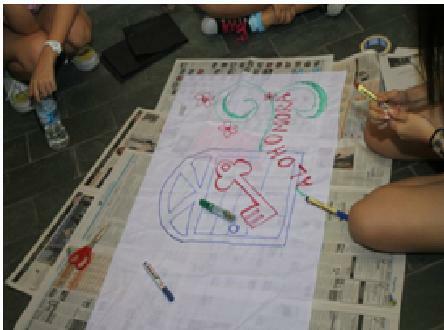 Last but not less, a million thanks to Executive committees who gave advices and help throughout the planning and during the camp. 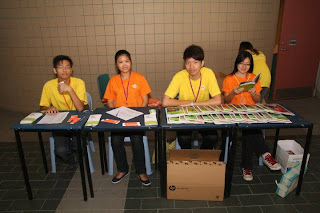 Not to forget all the committees and helpers who did contribute well to make this camp a success.